Due to change in Cuban-American relations, Israel will change its voting pattern on Cuba at the UN. For the first time in 25 years, Israel will change its voting pattern on a resolution regarding Cuba at the United Nations. The resolution, which has been proposed every year since 1991, calls on the U.S. to end the sanctions on Cuba which it has in place for the past 55 years. This year, however, due to the improvement in the relationship between the U.S. and Cuba, both the U.S. and Israel are abstaining instead of voting against it. 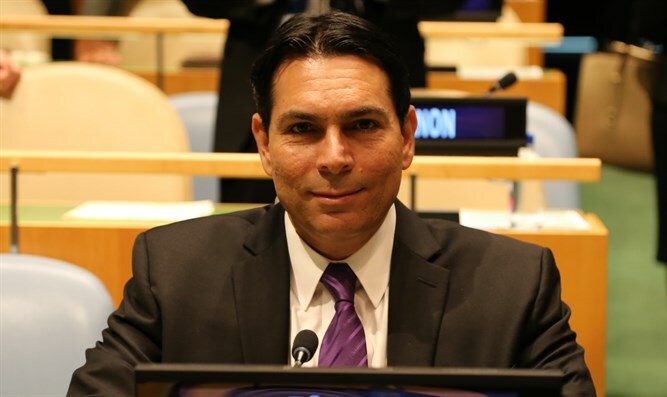 “Israel welcomes the progress achieved in the relations between the U.S. and Cuba and hopes it will lead to a new era in the region,” said Israeli Ambassador Danny Danon. “The U.S. has no more steadfast and loyal ally than Israel and we will continue the close cooperation between our two countries at the UN,” he continued. The resolution calls to refrain from enacting laws which do not conform to the UN Charter. In past years, Israel was the only country to vote with the Americans against the resolution. Relations between the United States and Cuba have improved since President Barack Obama and Cuban President Raul Castro announced in December of 2014 that ties between the countries would be restored. The announcement followed several steps, including the United States officially dropping Cuba from its blacklist as a state sponsor of terrorism, as well as a scheduled airline service, increased co-operation on law enforcement and environmental protection. The moves culminated in Obama visiting the island this past March, the first official visit to the country by an American president after decades of hostility. In September, Obama nominated Jeffrey DeLaurentis to be the first U.S. ambassador to Cuba in more than five decades, but the nomination appears to be a long shot to be approved by the Republican-controlled Senate.